My friend bought Linksys WRT1900AC to replace one of the older routers installed at his home. Reason for the upgrade was to replace the 802.11n network with the 802.11ac network. Though he completed the configuration by following the instructions came with the product, he couldn't go online. The same Internet connection is working perfectly fine with his older device. We troubleshoot the issue together and fixed. Out of the experience with troubleshooting this device, I decided to write a small guide for those who are facing any connection problems with WRT1900AC dual-band 4x4 Gigabit router. I hope this guide will be enough to identify hardware issues, configuration issues etc with it. To detect hardware problems of Linksys WRT1900AC router, we must check the power and Internet lights. Blinking amber Internet light indicates possible hardware problems. If you find any hardware troubles with it, you must immediately contact customer support before the expiry of their limited time warranty. Normal remedy for this situation is a replacement with a new unit. Any faulty configuration can make it not working properly as you expected. So I think you must double check this section and ensure that everything you have done is correct. 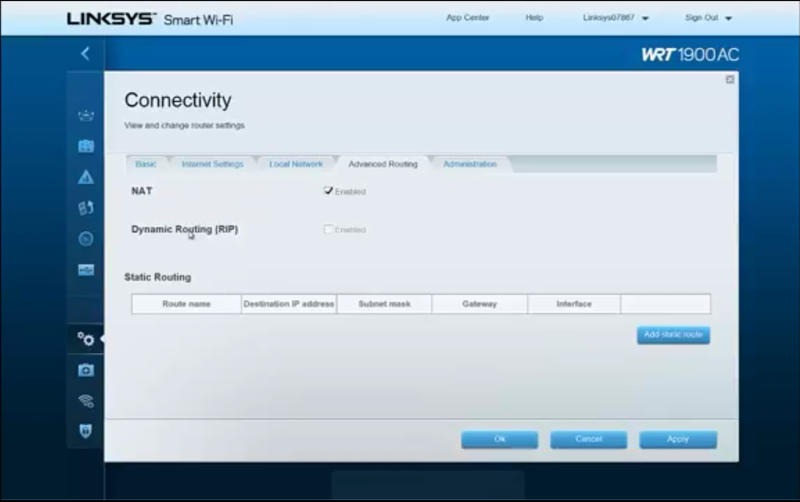 You can setup WRT1900AC by either using Linksys Smart Wi-Fi or you can do it manually. If you have both Internet connection and Linksys Smart Wi-Fi (installed on PC), follow the instructions below. 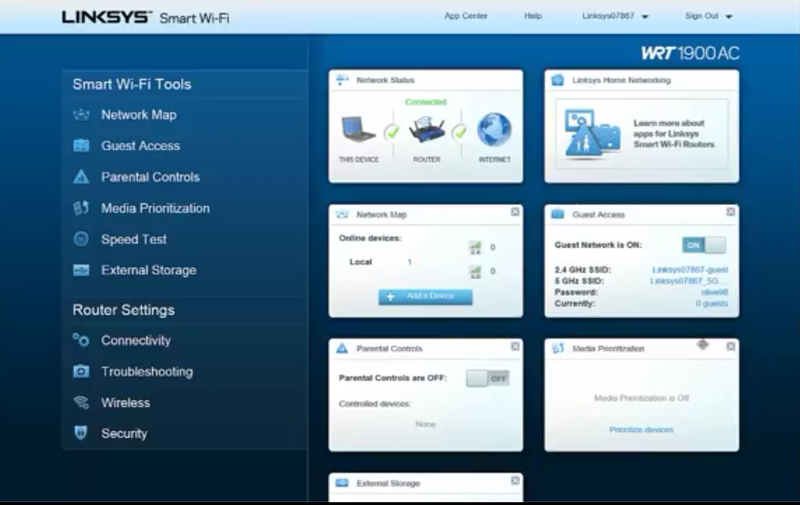 Power on the device and connect to the Linksys network name from the PC where Smart Wi-Fi is installed. Here you can decide whether you want to configure it manually or by using the Smart Wi-Fi setup. If you want to skip the automatic setup, you may choose that option and click next. Else you can follow the Smart Wi-Fi setup. Once you have configured using Smart Wi-Fi, you need to reset the router to see this Smart Setup wizard again. Once the setup starts, you may read the instructions and click the next button to finish it. Once the configuration is completed, you can select the desired item from the menu to configure as you wish. In future, you can access this page by using the string myrouter.local on the browser address bar. You just need to use the router password and username(by default admin). For example, if you want to set up parental control, just click on it from the menu. 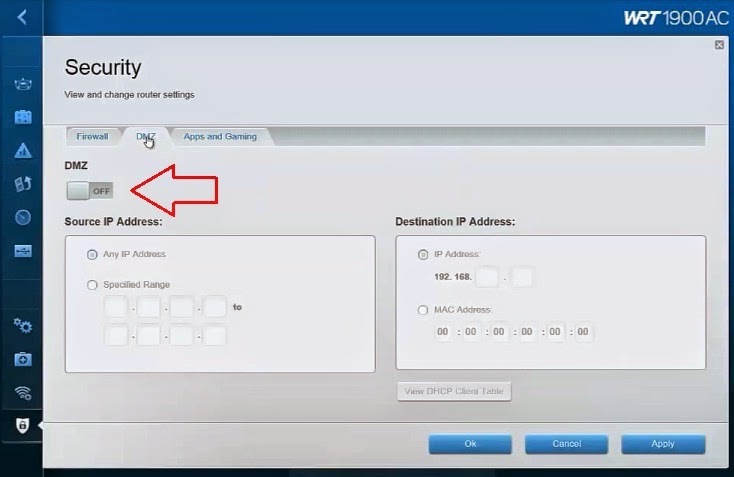 To edit default login IP address of Linksys WRT1900AC, click on Local Network under Connectivity. 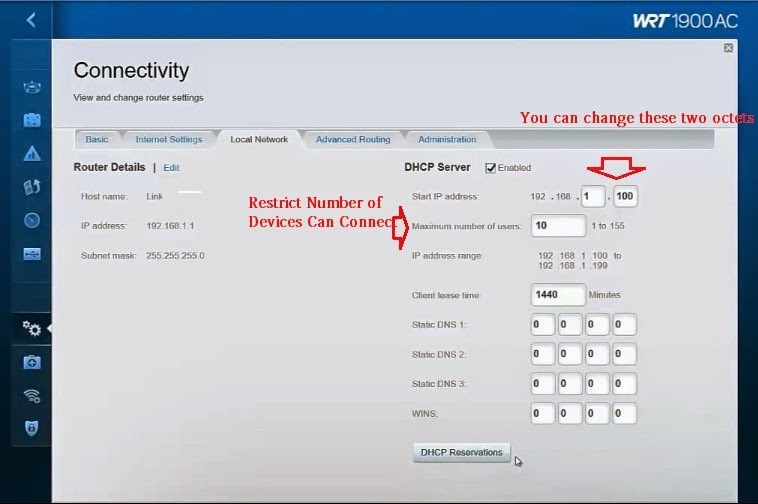 By default, it is 192.168.1.1 and on the same page, you can restrict the number of devices that can connect to the network. I have changed the default number from 100 to 10 here. You can control NAT feature under Advanced Routing (under the main headline connectivity). If you are using cable broadband services like Comcast, Cox Communications, RCN etc, you may need to do MAC cloning in addition to the normal steps. Default login IP address is 192.168.1.1 and you must use admin as both username and password. If you don't like to type the IP to access the web-based setup page, you can type myrouter.local on the browser address bar and press enter button. You need to check the "Enabled" checkbox at MAC Address Clone. Once it is enabled, you may click on the button 'Clone My PC's MAC' to copy the physical address of your computer to the device. It is important to make sure you are cloning the MAC address of the PC, which is registered with your Cable Broadband Service Provider. Don't forget to click Apply, once it is completed. WRT1900AC offers high-speed WiFi connection with a speed approximately 1300 Mbps. Follow the instructions below to activate and modify wireless settings on it. 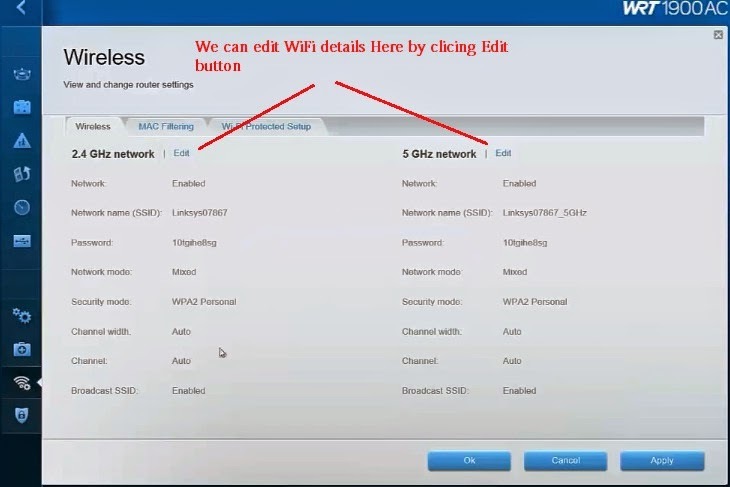 We can change SSID, encryption etc of both 5GHz and 2.4GHz band by clicking the edit link under the wireless tab. Here we have the facility to stop broadcasting SSID by disabling it. In addition to the wireless encryption, MAC filtering can strengthen the security of WiFi by either whitelisting or blacklisting device MAC addresses. 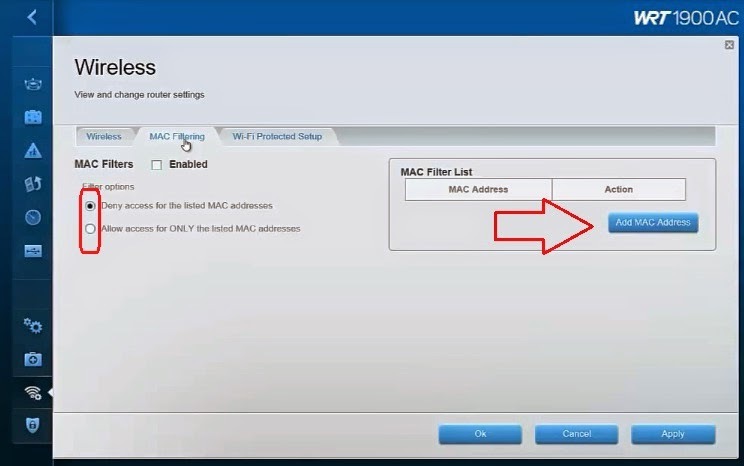 If a specific MAC address is blacklisted, that device will not be allowed to join the WiFi. To use this feature you must check the checkbox 'Enabled' first. If we choose "Allow Only" option, no devices other than those, whose MAC addresses are added will not be able to join the WiFi. So choose this feature carefully. If you are seeing trouble with connecting to WiFi network, you may follow the instructions provided in the link below. Is there a thick wall or other obstacles between router and PC? It is normal to see troubles with playing certain online games on PC or Xbox behind Linksys WRT1900AC router. In that case, you can follow either one of the solutions provided below. It is the standard solution for problems with playing online games. Linksys firewall may prevent traffic through certain ports which are necessary for the smooth working of certain games and online applications. If we open those ports on WRT1900AC, the issue will be solved. If you want to open a single port number, you may click on Single Port Forwarding. If you want to forward a range of port numbers, you should click on Port Range forwarding. If port forwarding is not working, you may configure the device on which you are playing an online game as DMZ on the router. To do it, click on DMZ under Security. 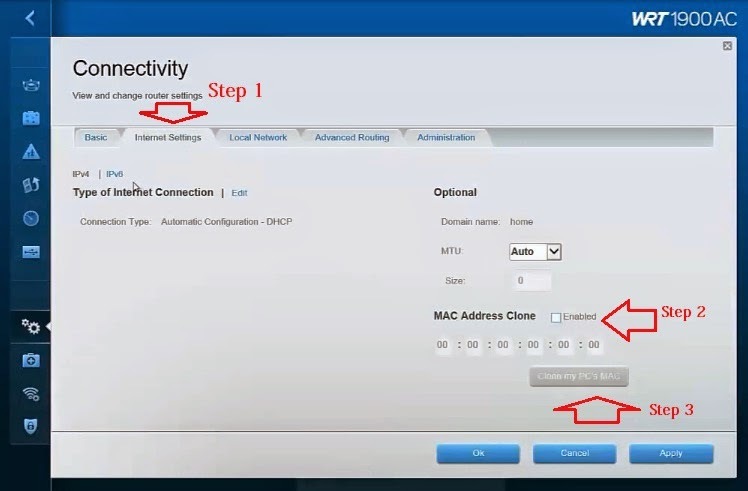 Here you need to specify the IP address of the device which you want to be treated as DMZ by the router. It is necessary to assign static IP to the device. 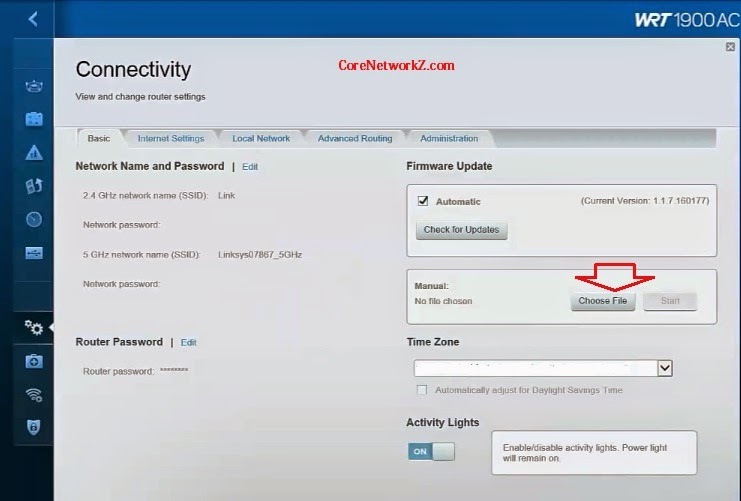 If there are any issues with accessing certain websites through WRT900AC, I suggest you go through an old article on www.Corenetworkz.com listed below. 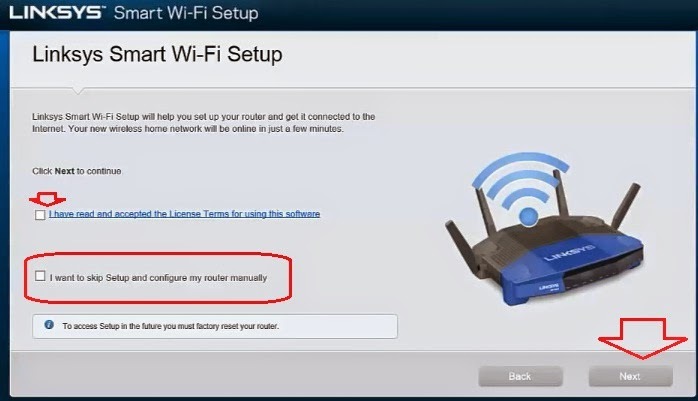 If you think, it is necessary to reset and reconfigure Linksys WRT1900AC, you can follow the instructions provided in the link below. There is no doubt, it is one of the fastest wireless routers available in the market right now. It features rich dual-band 802.11ac router with many cool features. However, I feel it is a little bit costly compared to other routers from different vendors having similar features. One of the major advantages I am seeing is the willing by Linksys team to use open source firmware on WRT1900AC. Perhaps it is one of the biggest change in the way of looking on firmware after the takeover of the company by Belkin from Cisco. Though Linksys is ready to allow open source firmware, due to the policies of Marvell (the chip developer) many developers say it is impossible to develop firmware without getting the driver source code from Marvell. I hope Belkin (current owner) will resolve the issue soon and gain the trust of open source lovers. I really love to flash OpenWRT on WRT1900AC and enjoy the maximum benefits from it. To upload an open source firmware, you must go to Connectivity page and click choose file button. If you are going with the official firmware supplied by Linksys, you may simply click on the button "Check for Updates". Get instant solution of your lost hotmail password. Talk to our Hotmail technical support team and ensure your hotmail password recovery. Thanks for providing some cool steps to setup my Linksys using 192.168.1.1 IP. 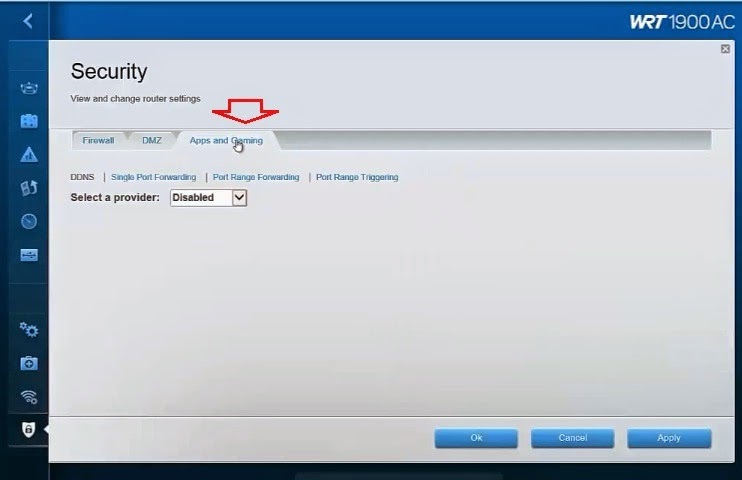 19216811.is Really Helpful to manage many settings of the router ! !